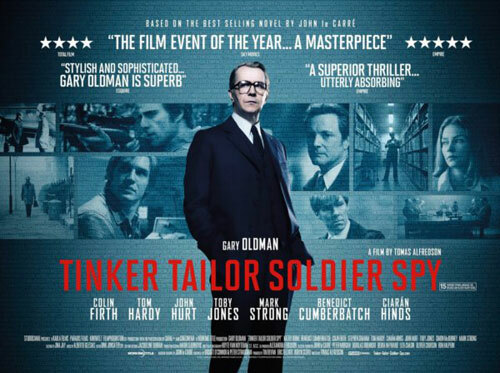 Set in the 1970s, Tinker, Tailor, Soldier, Spy finds George Smiley (Gary Oldman), a recently retired MI6 agent, doing his best to adjust to a life outside the secret service. However, when a disgraced agent reappears with information concerning a mole at the heart of the Circus, Smiley is drawn back into the murky field of espionage. Tasked with investigating which of his trusted former colleagues has chosen to betray him and their country, Smiley narrows his search to four suspects–all experienced, urbane, successful agents–but past histories, rivalries and friendships make it far from easy to pinpoint the man who is eating away at the heart of the British establishment. read more.